As an aftermath of the recently concluded Town Committee elections and its results in which BJP captured all the Town Committees in Karbi Anglong and West Karbi Anglong districts, the Karbi Anglong District Congress Committee (KADCC) has expelled its party members for anti-party activities. 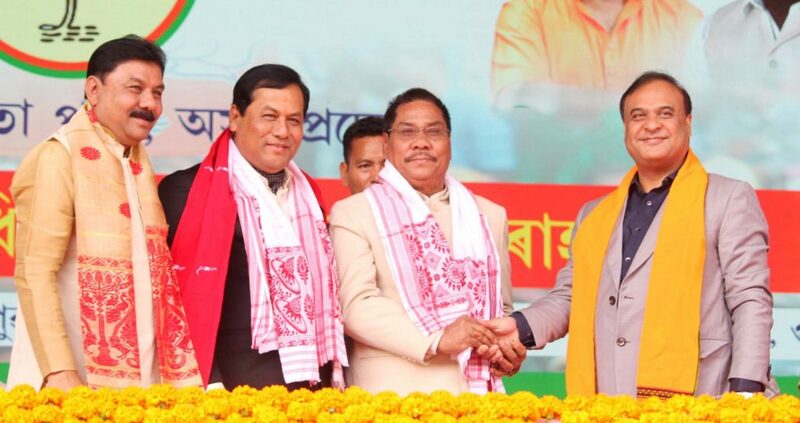 Vice-president of Assam Pradesh Congress Committee (APCC) as well as KADCC, former MLA Bidya Sing Engleng, who joined the BJP at Sarusajai Stadium in Guwahati has been expelled from the Congress for joining the ruling party. Sagar Chetri, ward commissioner of Ward No. 11, Diphu Town Committee, was also expelled for the same reason. Several others were expelled for six years for anti-party activities among whom there are Sarupathar president of MCC Kadom Terangpi; vice president Silarson Rongpi; general secretary Borsing Timung; secretary Martha Teronpi and executive members Rowelson Hanse, Junaki Timungpi and Protima Enghipi and Surupathar Mahila Mandal Congress Committee, president Kasang Beypi. The BJP in Karbi Anglong, which did not even have a booth committee five years back, now moved in the grassroot level in the hill areas. The party is concentrating its activities on mass contact and keeping its primary committee members active. Meanwhile, the taking over of the Town Committees by the ward commissioners has been postponed to an uncertain date as the Assam cabinet minister Sum Ronghang, who is also the Diphu MLA, has instructed to wait for him. The minister, who fell ill during the Town Committee elections, is convalescing in Gurgaon after suffering from severe illness due to cardiovascular problems, diabetes and related health problems.